The aerospace industry supports the research, development, manufacturing, operation, and maintenance of aircraft, spacecraft, satellites, and their parts/components. This industry spans a wide range of applications across the commercial, engineering, and military sectors. Aerospace is also a significant contributor to Canada’s economy, accounting for a significant portion of its foreign trade and employing tens of thousands within its workforce. Canada is one of only a few countries that actually manufactures airplanes, and has been recognized for its construction of sophisticated components and parts for the National Aeronautics and Space Administration (NASA) and the International Space Station (ISS). The above also underscores the importance of precision manufacturing for all tools and dies required to produce any parts or components for the aerospace industry and to certify their overall appropriateness and quality. Consequently, when companies in the aerospace sector need precision tooling and casting solutions, they can depend on the tool and die makers at Noble Precision. The skills and experience of the Noble Precision team in the use of 5-axis simultaneous CNC machining technologies can prove valuable to the manufacturers and suppliers who compete in the aerospace industry. 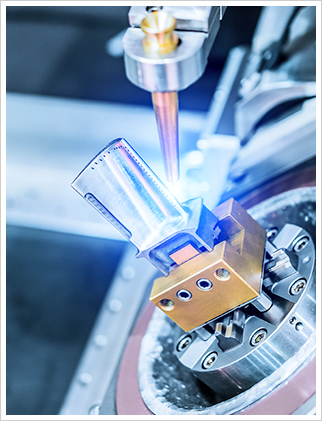 For additional information on any of the precision manufacturing services offered by Noble Precision, please see the respective links referenced above. As manufacturers in the aerospace industry strive to gain or strengthen competitive edges in their respective marketplaces, they will often ask their engineers to design and develop new innovations/improvements relative to the physical structures, performance efficiencies, and safety features of their products or parts. In turn, achieving these advancements may require the design and production of a new tool or die, but the manufacturer may not have the in-house capabilities or the infrastructure to physically construct that prototype. Aerospace manufacturers who need to develop a new tool and/or die can capitalize on Noble Precision’s leading-edge 5-axis simultaneous CNC machining technology, plus its experience and history of success with prototype conceptualization, manufacture, and testing, in order to produce the new instrument or piece of apparatus that meets their precise specifications and expectations; and, this can be achieved in a time-efficient and cost-efficient manner. 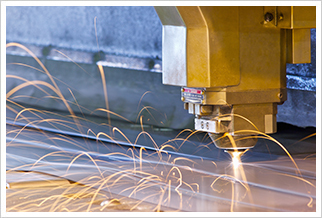 For all your tool and die making needs, including prototype development for the aerospace industry, call Noble Precision today at 416-754-2010 or Contact us for a consultation on the services and support that we can offer through our state-of-the-art 5-axis simultaneous CNC machining.